Aging is inevitable and something many of us dread. Growing older and losing the ability to do your favorite activities or fully take care of yourself properly can be hard for many people to wrap their minds around. But it happens to everyone. However, there are things you can do to make sure you age as well as possible, both mentally and physically. If you take care of yourself when you are younger, you will be more likely to keep yourself healthy as you age. There are several ways you can keep your mind and body healthy as you grow older. By doing these things you can enjoy more of your day to day activities and live a healthier and happier life. At Nova Home Health Care in Fairfax, we offer in-home health care, post-surgery care, and other services for aging adults. We make it easier to stay independent and provide the help you need. 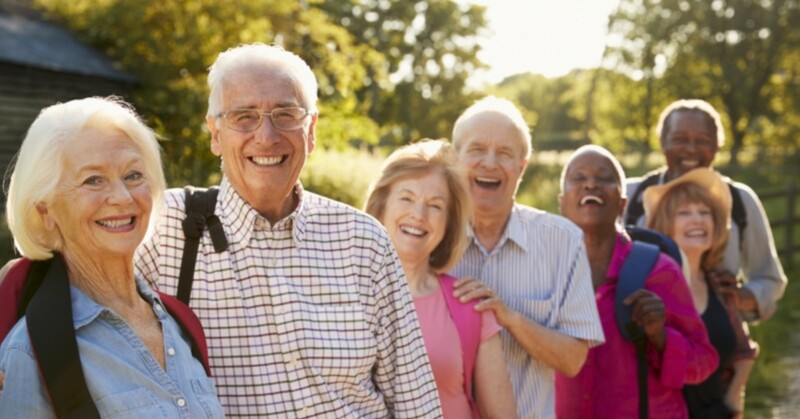 Our caring and professional team wants to help you learn more about your aging and how to keep your mind and body healthy throughout the process. Hopefully, you kept yourself healthy at a younger age and have set yourself up for success. By following these tips, you can help make your aging process simpler and healthier. Read on to learn more! This may seem obvious since staying active can help keep you active, but you should be making an effort to do something active every day! Go for a walk, join a workout group, go for a bike ride, and create a regular routine that involves physical activity. By staying active, you will be able to prevent a variety of different conditions that often go hand-in-hand with aging, including diabetes, arthritis, heart disease, and osteoporosis. While it can be difficult to keep yourself active, one good way to ensure you still with your active routine is to do something you love. If that is walking through the park or riding your bike around town, be sure to do it daily. A WebMD article suggests walking 30 minutes a day. A brisk walk that gets you breathing a little heavier, can offer a wide variety of health benefits. It can keep your brain cells healthy with a fresh delivery of oxygen and blood. The article mentions that aerobic exercise may be able to delay or improve the symptoms of Alzheimer’s disease. 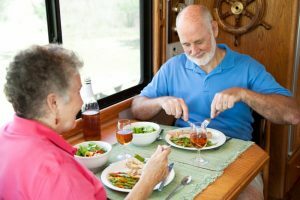 Eating a healthy and well-balanced diet can help keep you in the best possible health as you age. Not only can it help keep you in good shape, but it can also keep you healthier. Diets that contain high levels of sodium can lead to cardiovascular disease and hypertension. The article from WebMD mentions that a whole food diet can help you live a longer and healthier life. Choose veggies, fruits, nuts, whole grains, and low-fat dairy and reduce your consumption of fatty meats, sugar, salt, butter, and packaged foods. This diet can help protect you from serious diseases such as heart disease, cancer, Parkinson’s, and Alzheimer’s. The article mentions that researchers believe this diet works by physically changing parts of your chromosomes that are linked to age-related diseases. Not only will you feel better as you age, but you can also maintain your health! Sleep is just as important for older adults as it is for young adults, but it is common that they get much less. You should still try to get seven to nine hours of sleep each night in order to stay healthy. An article from Dartmouth-Hitchcock mentions that a lack of sleep can cause depression, memory problems, irritability, and a greater risk of falling. The best way to ensure you get enough sleep is to create a sleep schedule and bedtime routine. Make sure you keep your bedroom dark and don’t use your electronic devices while in bed. Avoiding caffeine in the evening can also help you get better sleep. If you have trouble sleeping and have tried everything, talk to your doctor about what the problem might be. Cognitive decline is a normal part of aging, but it is something that can be delayed if you choose the right methods. By making active learning a part of your lifestyle, you can help slow cognitive decline and keep your brain sharp. Cognitive stimulation can keep your brain challenged and your mind sharp. Just because you are aging does not mean you should stop learning! You can attend a lecture at the local college, sign up to learn a language, learn how to play an instrument, sign up for dance lessons, or simply read a book. You can always learn something new and this will help challenge your mind and keep your brain young and healthy! Try to do something every day that provides cognitive stimulation, even if it is a crossword puzzle or reading before bed. Loneliness can be harmful to your health and as you age, you are more likely to find yourself alone. According to the Dartmouth-Hitchcock article, 28 percent of older adults live alone. This increases the risk of loneliness. Retirement, loss of a spouse, and many other factors linked to growing older can lead to social isolation. Loneliness can lead to an increased risk of dementia or depression. The WebMD article mentions that seniors who feel isolated have reported having a difficult time with everyday tasks, such as bathing and climbing the stairs. Lonely people also tend to live shorter lives than those who surround themselves with other people. This is why it is important to stay as social as you age. It can be as simple as befriending your neighbor, joining a group, volunteering with other people, or connecting with others in any other way you know how. Plan a weekly get-together with some friends to catch up and enjoy some time together. Stress is a terrible thing at all ages, but as you get older, your stressors and ability to deal with stress changes. Long-term stress can lead to damaged brain cells and depression. It can also increase the risk of memory loss, fatigue, and a decreased ability to fight off infection. The Dartmouth-Hitchcock article states that stress can cause or complicated more than 90 percent of illnesses. Learning how to cope with stress can help keep you healthier as you grow older. Getting enough sleep, exercising, and eating healthy can all help you better deal with stress better. The WebMD also mentions practicing Tai Chi, a Chinese exercise that combines slow movements with deep breathing, making it the perfect meditative workout for older adults. There are many benefits to this workout type, especially for seniors. 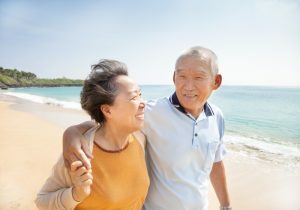 Growing older is not always fun and it comes with many challenges, but staying positive can help keep you healthier and happier throughout the process. It can be difficult to stay positive at times, but it can help you live longer, reduce your risk of heart attacks, and lower your chances of developing symptoms of depression. There are many ways you can work on developing a positive mindset including keeping a gratitude journal, helping others, surrounding yourself with positive people, and trying to not dwell on the bad so much. Growing old is hard and we get that, but there are many things you can do to make this time in your life as good as possible. Follow these tips and enjoy the aging process! It is just another beautiful part of this thing we call life. If you or a loved one needs at-home health care or services in the Fairfax area, be sure to contact Nova Home Health Care today! Contact us today to learn more about the services we provide and to get a free in-home consultation!